Смотрю, наша J1 в дДНК постоянно с J2b1 Mich Glitch'а попадается. Надеюсь, если что-то выложат приемлемого качества, добрые люди сразу воткнут в Базу Семаргла и в ИгрекФулл. was Y-DNA J1-Z2313/YSC0000234 and mtDNA J1d. JK2134 is at the root of the main J1-P58 expansion, and slightly below sample I1705 from 'Ain Ghazal (Amman, Jordan) at the start of the Middle Bronze Age, 2198-1966 calBCE. "The rulers of the 14th dynasty are commonly identified by Egyptologists as being of Canaanite or West Semitic descent, owing to the distinct origins of the names of some of their kings and princes, like Ipqu (West Semitic for "grace"), Yakbim ("ia-ak-bi-im", an Amorite name), Qareh (West Semitic for "the bald one"), or Yaqub-Har." quote: Ryholt notes that the name, Khyan, generally has been "interpreted as Amorite Hayanu (reading h-ya-a-n) which the Egyptian form represents perfectly, and this is in all likelihood the correct interpretation." It should be stressed that Khyan's name was not original and had been in use for centuries prior to the fifteenth Hyksos Dynasty. The name Hayanu is recorded in the Assyrian king lists—see "Khorsabad List I, 17 and the SDAS List, I, 16"--"for a remote ancestor of Shamshi-Adad I (c.1800 BC)." Kamose, the last king of the Theban 17th Dynasty, refers to Apepi (Aphophis) as a "Chieftain of Retjenu" (Canaanites) in a stela that implies a Canaanite background for this Hyksos king. What drove the expansion of the Amorite nomads? The 4.2 Kiloyear Event, starting c. 2200 BCE, consolidated the Syrian-Arabian desert and made rain-fed agriculture unsustainable in large areas of the Levant. Desert nomads had an advantage over the earlier settled populations, and they began to replace them. • The conclusion is, that the combination of I1705 from 'Ain Ghazal 2198-1966 calBCE being J1-Z2324 at the start of the Amorite expansion, and JK2134, an Ancient Egyptian from Abusir from 776-569 calBCE being in the slightly more derived J1-Z2313/YSC0000234, shows that this this part of J1-P58 is closely connected to the Amorite Expansion and the spread of the Central Semitic languages. • The Middle Bronze Age Amorite expansion continued south into Egypt and had a profound demographic impact on 18th Dynasty and later Egyptian population. 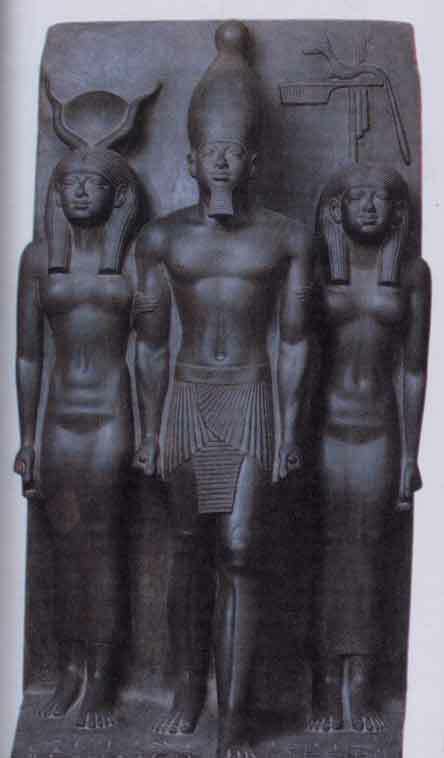 These Amorite descendants integrated into Classical Egyptian culture and became thoroughly Egyptianized. • This same Amorite expansion continued southward, and with the domestication of the camel during the Bronze Age Collapse of c. 1200 BCE, these nomads were able for the first time to inhabit the desert, which created a secondary expansion of desert tribes, who later became the Bedouin Arabs. По последним династиям есть с кем разбираться(дДНК), сохранились их мумии, в т.ч. Рамсессидов. Вадим Веренич прокрутил их на калькуляторе MDLP K11 Ancient/Modern. В скобках я указал их Y-гаплогруппу. 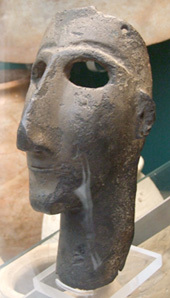 British_Roman, насколько я понимаю, это гладиатор-ближневосточник J2b1 из Британии. 1,] "33% Burbur_WGA + 67% Samaritan"
[2,] "32.7% Mozabite + 67.3% Samaritan"
[3,] "29.9% Saharawi + 70.1% Samaritan"
[4,] "58% Samaritan + 42% Shaigi_WGA"
[5,] "60.7% Samaritan + 39.3% Tunisian"
[6,] "64.6% Bedouin + 35.4% Sardinian"
[7,] "36.4% Moroccan_NorthMorocco + 63.6% Samaritan"
[8,] "29.1% Moroccan + 70.9% Samaritan"
[9,] "32.2% Sardinian + 67.8% Yemenite_Jew"
[10,] "29.1% Burbur_WGA + 70.9% Tunisian_Jew"
[1,] "37.6% Burbur_WGA + 62.4% Samaritan" "4.647"
[2,] "34.8% Saharawi + 65.2% Samaritan" "4.7638"
[3,] "37.5% Mozabite + 62.5% Samaritan" "4.8295"
[4,] "53.9% Samaritan + 46.1% Tunisian" "5.1712"
[5,] "51.5% Samaritan + 48.5% Shaigi_WGA" "5.2503"
[6,] "34.7% Moroccan + 65.3% Samaritan" "5.7687"
[7,] "85.1% Egyptian_Comas + 14.9% Sardinian" "6.1309"
[8,] "47.7% Libyan + 52.3% Tunisian_Jew" "6.256"
[9,] "70.3% Libyan_Jewish + 29.7% Saharawi" "6.2566"
[1,] "23.6% Sardinian + 76.4% Yemenite_Jew" "5.045"
[2,] "25.2% Sardinian + 74.8% Yemenite_Jewish" "5.1191"
[3,] "72.8% Bedouin + 27.2% Sardinian" "5.3135"
[4,] "26.3% Sardinian + 73.7% Saudi" "6.7186"
[5,] "54.3% Tunisian_Jew + 45.7% Yemenite_Jew" "6.9989"
[6,] "56.8% Tunisian_Jew + 43.2% Yemenite_Jewish" "7.0902"
[7,] "52.8% Libyan_Jew + 47.2% Yemenite_Jew" "7.1615"
[8,] "56.3% Libyan_Jewish + 43.7% Yemenite_Jew" "7.2134"
[9,] "40.4% Bedouin + 59.6% Tunisian_Jew" "7.2648"
[10,] "55.3% Libyan_Jew + 44.7% Yemenite_Jewish" "7.2788"
British_Roman, насколько я понимаю, это гладиатор-ближневосточник J2b1 из Британии. Помнится, по результатам анализа стабильных изотопов, на родину этого гладиатора больше всего подходила дельта Нила. Ярослав, не объясните, что значат цифры @ 18.763191? Как я понимаю, чем они меньше, тем меньше генетическая дистанция? Думаю, да, чем меньше цифра, тем меньше генетическая дистанция. Но вот, что может означать сама цифра, пока что ещё сам пытаюсь понять. Нужно где-то в темах раздела Этно-популяционные тесты поискать. Из этой троицы дДНК средиземноморец JK2911 (J2b1-PF7314) имеет больше северных компонентов, чем двое других JK2134 (J1a2a2-Z2329 ) и JK2888 (E1b1b1a1b2-V22). Прогоните свои данные, скажем, на MDLP K11 Modern. Затем посмотрите на порядок цифр. Просто, чтобы оценить это похоже - не похоже. Как говорится, разработчикам этнокалькуляторов респект и уважуха. Но всё это не больше чем игры разума.